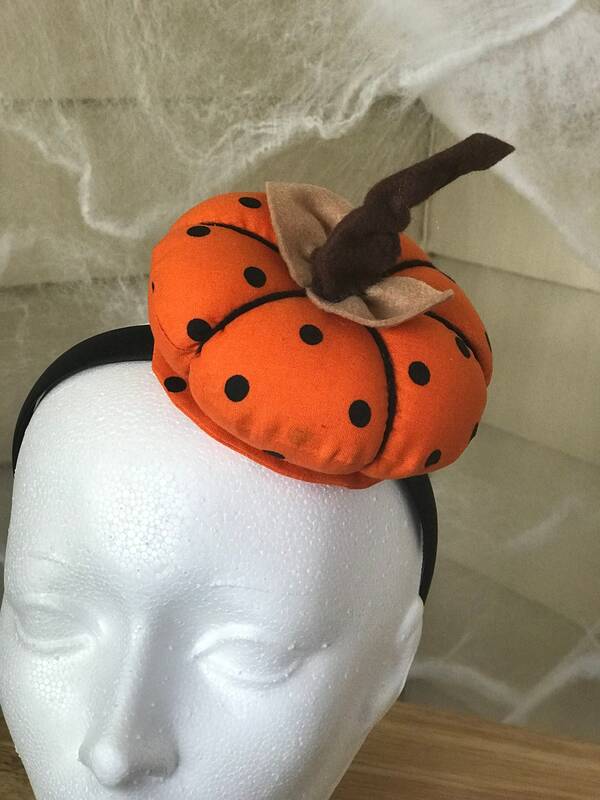 Get this Fascinator Hat, or Mini Hat, to coordinate with and complement your Halloween apron! 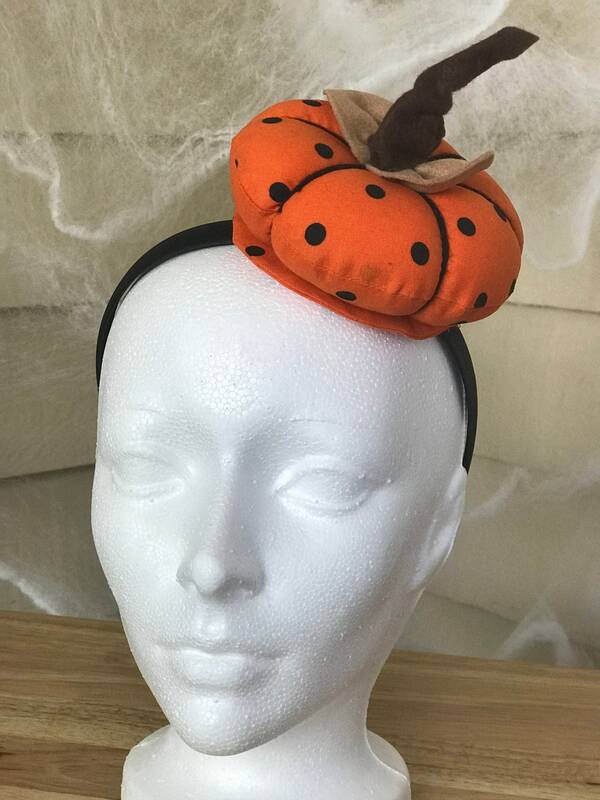 I've created this, suggested by a friend to do a pumpkin hat, which is out of my box, but had fun designing and making it!! 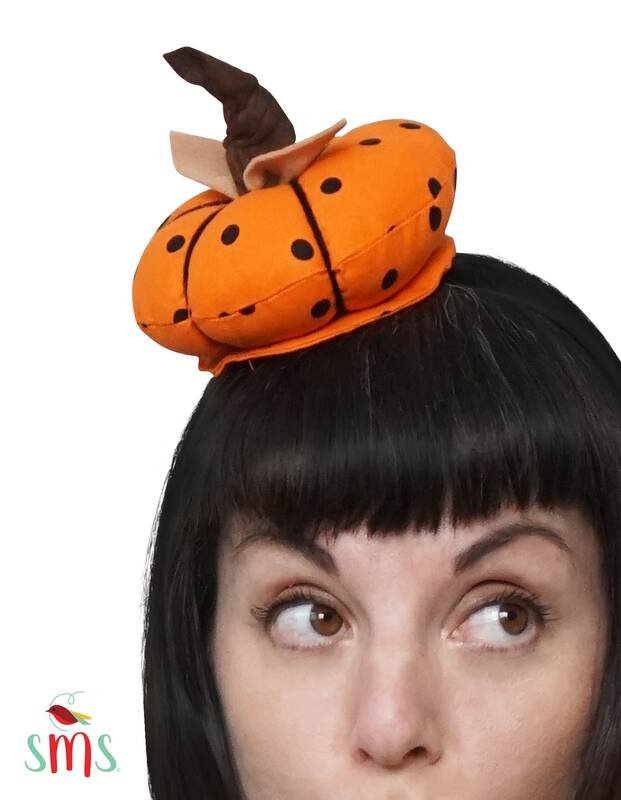 Wear it as part of your "costume" or gift it to a friend! 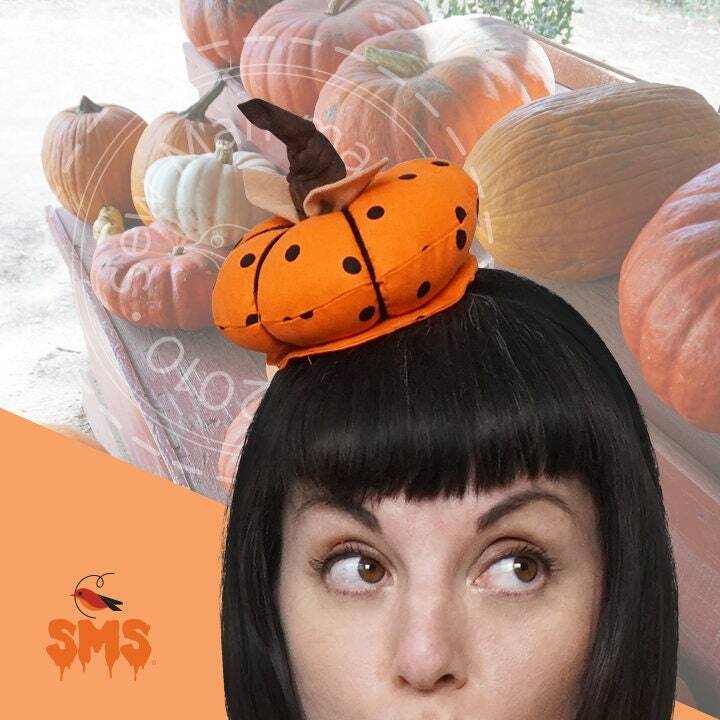 Host a party and be the cutest there! 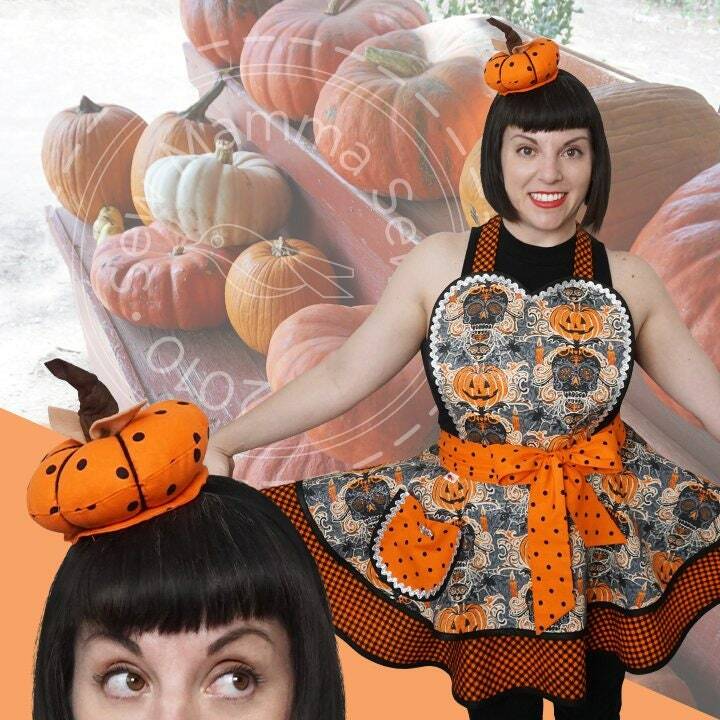 It goes with several of my Halloween aprons so have it as part of your wardrobe this year! This of course is a one size fits all! Duh!! Headband included.